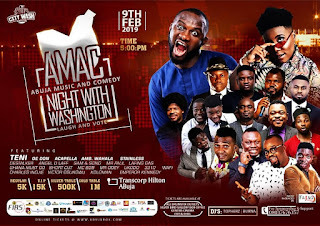 Comedian "Washington" is set to shutdown the city of Abuja with his latest show, tagged "Abuja Music and Comedy Night - AMAC", holding at Transcorp Hilton on the 9th of February, 2019. The show will be hosting popular artists, comedians, entertainers and prominent personalities across the industry. The event will be coloured with exclusive jokes from the host, alongside several other performance to keep the buzz. "AMAC Night with Washingthon", is an event, quite perceived to be one of the biggest burst in Abuja showbiz industry since the new calendar year of 2019 rolled in. 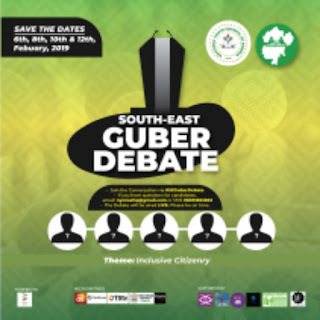 Considering the outnumbered fans and supporters which the host is believed to have garnered in a very short period in the entertainment industry, the event may really a talk-about -show. Washingthon is one of the most recognised comedians in the south-east region and FCT, recently stormed Abuja from Russia with his energetic style of entertainment, engaging humour and artistic performance. 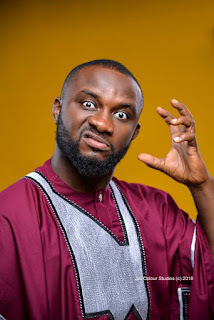 Many Abuja based entertainers has praised him for recognizing the city as the host for his AMAC show. Abuja is counting down already in great anticipation of the "Abuja Music and Comedy Night with Washingthon".